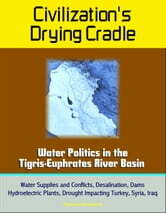 The finite water supply of the Tigris and Euphrates rivers is increasingly imbalanced with the demands of Turkey, Syria, and Iraq. Turkey's GAP project, which will eventually include 22 dams and 19 hydroelectric plants in the upper Tigris-Euphrates basin, gives Turkey tremendous ability to control both rivers, and provides significant political and economic influence over Syria and Iraq. The countries have failed to reach a water-sharing agreement, and Turkish and Syrian stockpiling to fill reservoirs nearly led to military conflicts with Iraq in 1974 and 1990. Recent drought-induced low river flows have led to accusations that Turkey is holding back more than its fair share of water. 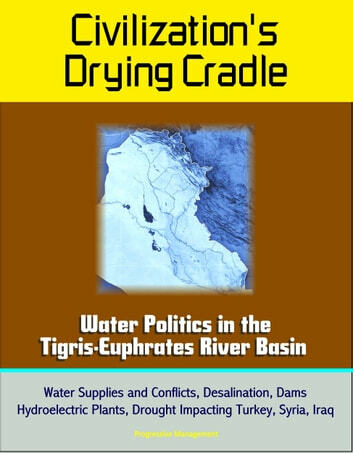 This paper details the nature of water shortages in the Tigris and Euphrates basin, discusses relationships between upstream-downstream riparian states, analyzes whether international water laws are sufficiently developed to influence Turkey, Syria, and Iraq toward a long-term solution, and explains the importance of a U.S. role, with policy options for promoting equitable water-sharing between these states. Lastly, this paper describes steps Iraq must take to improve its water security, with or without a water-sharing agreement with Turkey and Syria. Despite worsening water availability and equity in the Tigris-Euphrates river basin, a military conflict over water is unlikely while Iraq and Syria remain militarily, politically, and economically weaker than Turkey. However the potential for downstream crisis, human suffering, and conflict will only increase as Turkey continues work on the Southeast Anatolia Development Project (GAP), which includes 22 dams and 19 hydroelectric plants. These dams will provide Turkey with unprecedented control over both Tigris and Euphrates River flows into Syria and Iraq. From its position of strength, Turkey is unlikely to make meaningful concessions on water sharing without application of significant external diplomatic pressure, economic incentives, and concessions from Syria and Iraq. Although near-term military conflict in the Tigris-Euphrates river basin over water is unlikely, regional water shortages and inequities will increasingly challenge U.S. interests, and with international water law and organizations unlikely to resolve Turkish, Syrian, and Iraqi differences, a long-term water-sharing treaty, facilitated by external influence, is needed. The United States has an opportunity to use diplomacy and incentives to move Turkey, Syria, and Iraq toward a long term water-sharing agreement, to promote regional stability and the political and economic viability of the three countries.